This 12x12 double sided paper has a large Damask Floral Pattern with Gold Lettering on the frontside. The reverse side has a mini Floral Pattern on a Light Blue Background. 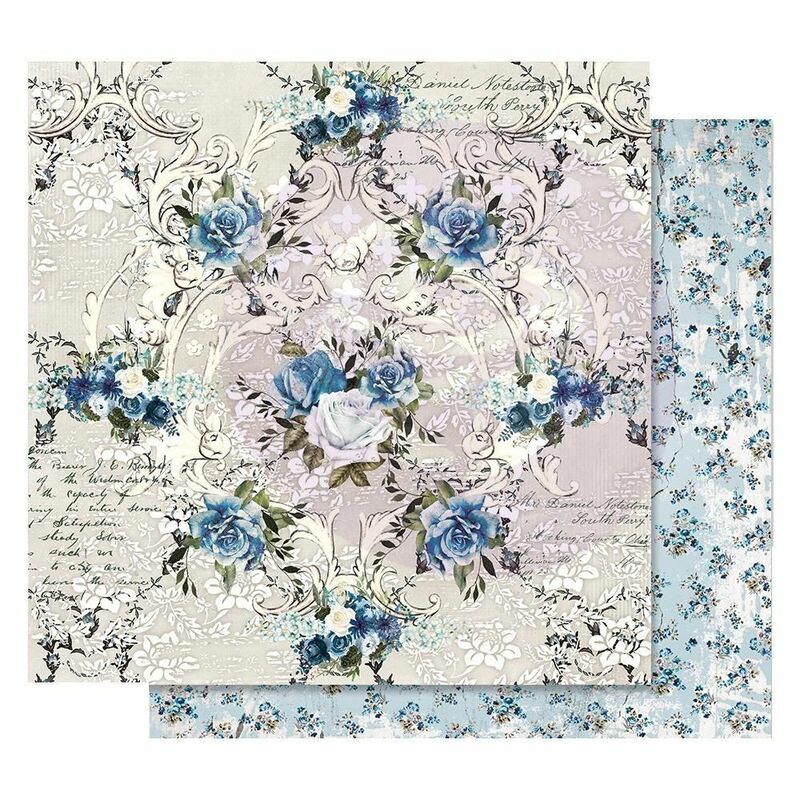 Part of the Georgia Blues Collection by Prima Marketing Inc. Look for other coordinating Designer Papers & Embellishments.